A perennial with square stems and whorls of 6 to 8 leaves. 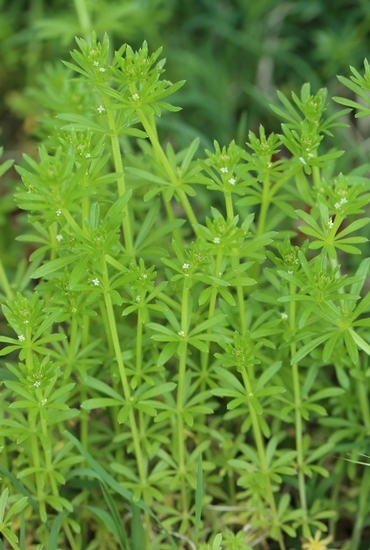 Smooth bedstraw is primarily a weed of landscapes, nursery crops, turfgrass, and lawns that is found throughout the United States. Plants normally spread via rhizomes and stolons therefore seedlings are rarely encountered. Cotyledons oval and occur on petioles that are notched at the apex. Occur in whorls of 6 to 8. Leaves are without hairs but may occasionally have hairs along the margins. Leaves are approximately 1/2 to 1 1/4 inches long by 2 to 4 mm wide. Leaves are without petioles (sessile). Stems are square in cross-section and without hairs. Produced in clusters on a flower stalk that arises from the area between the stem and leaves (leaf axils). Flowers consist of 4 white petals. A 2-parted capsule that separates at maturity. 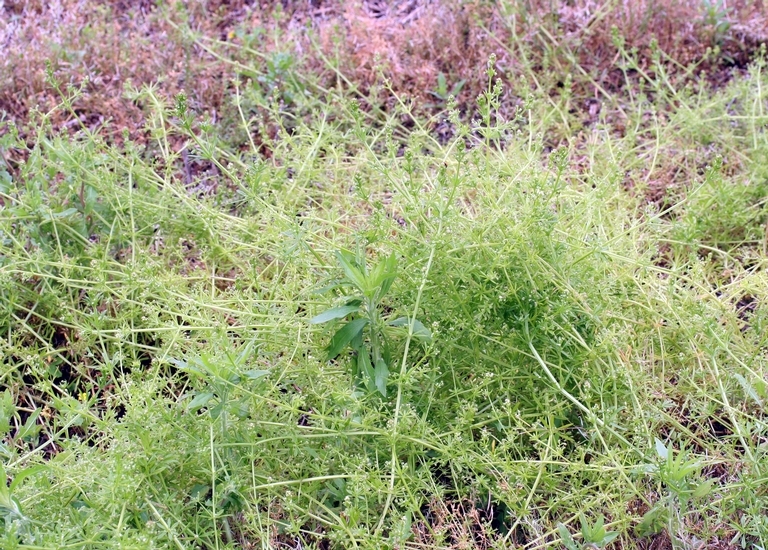 The whorled leaves of this plant makes it easily distinguishable from most other weeds except Field Madder (Sherardia arvensis), which is very similar in appearance and growth habit. 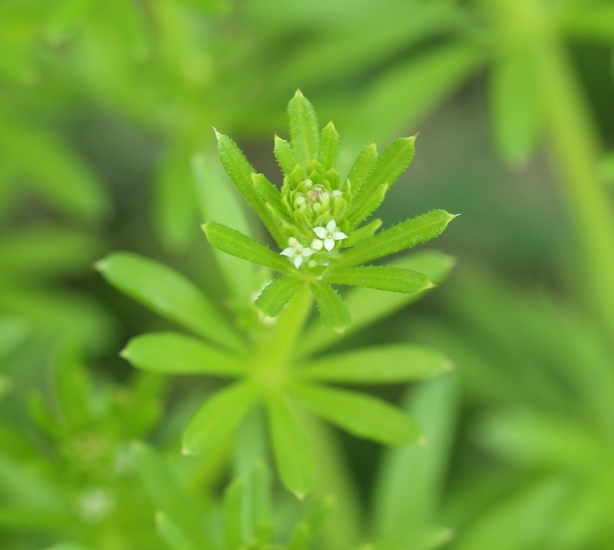 However, catchweed bedstraw has hairs on the upper leaf surfaces and also has stems with tiny prickles. 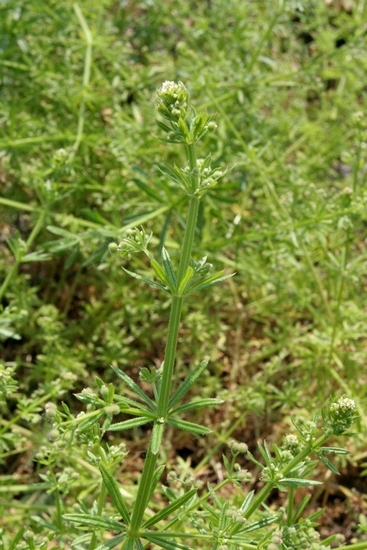 Field madder generally has smaller leaves than the bedstraws and the leaves occur in whorls of 4 to 6. 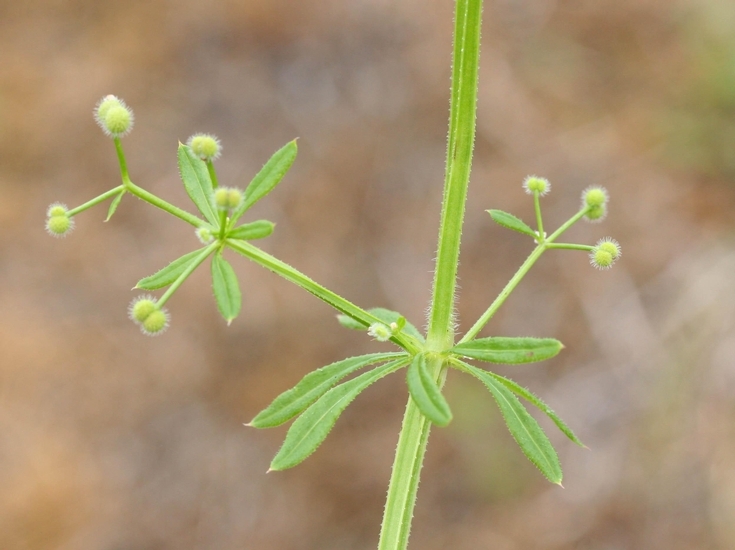 The leaves of field madder are also more lanceolate and have much more of a distinct point than those of the bedstraw species.